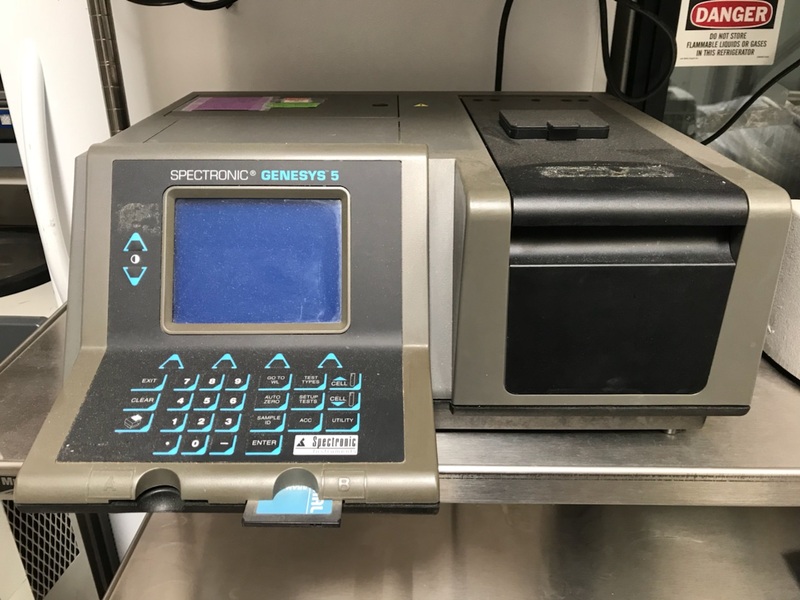 We offer an assortment of refurbished and used Spectrometers / Spectrophotometers ranging from Spectrofluorometer, Fluorescence, Atomic Absorption (AA), ICP, to UV / Vis / NIR Spectrometers and Microplate. 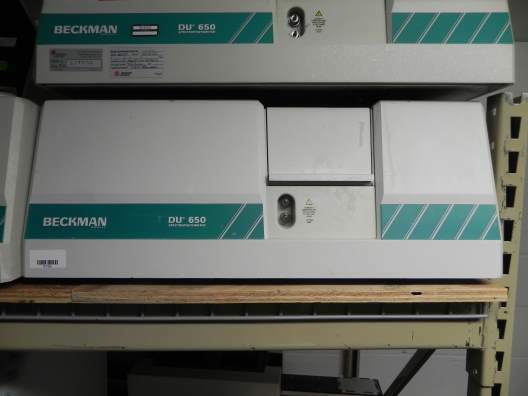 Some of our popular manufacturers include Beckman, Perkin Elmer, HP, Hitachi, Varian and Bio-Tek. 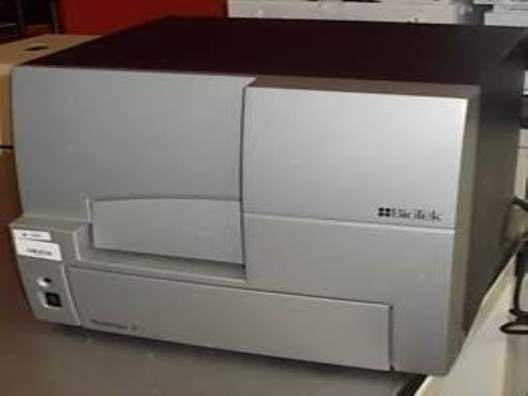 We have one of the largest inventories of Mass Spectrometers available. We also offer service contracts, installation and training. 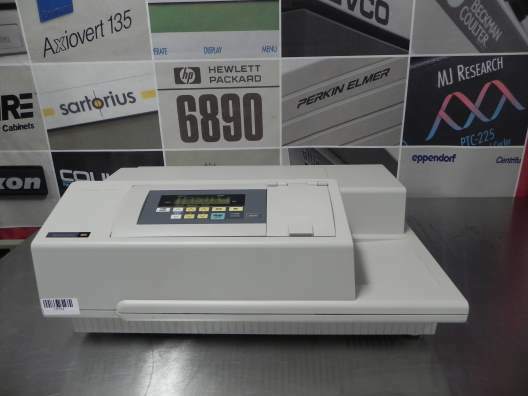 Browse our inventory of used mass spec products below. 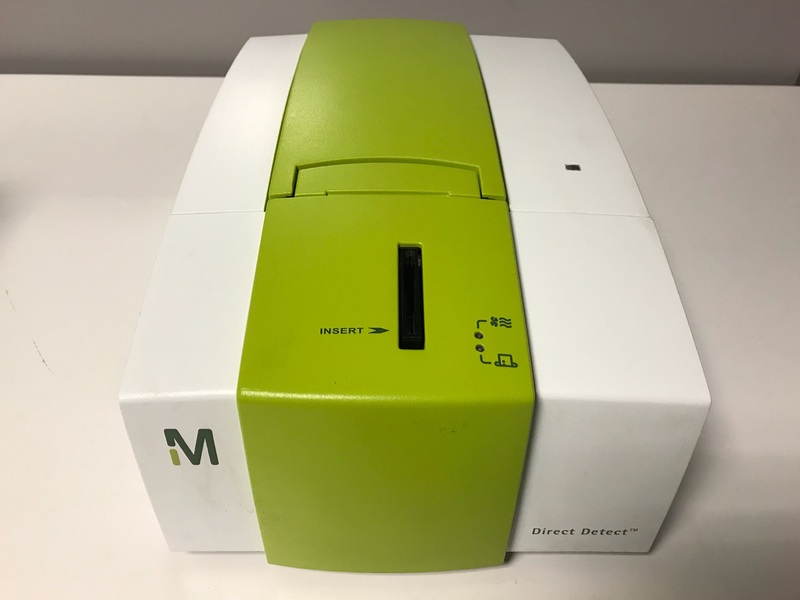 The FilterMax F5 Multi-Mode Microplate Reader offerS a wide set of features at an affordable price-to-performance ratio. 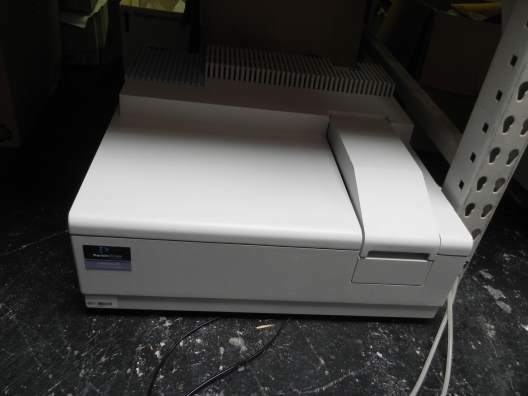 They provide absorbance, fluorescence, glow luminescence, and other read modes for programmable endpoint, kinetic, multiple-wavelength linear scan and area scan measurements. Premier dual-mode readers for absorbance & fluorescence intensity-based assays. Users can select from top- or bottom-read modes for improved sensitivity for solution and cell-based assays. 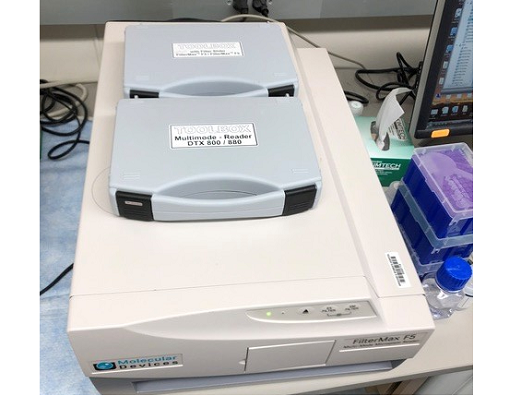 The SpectraMax M5 Multi-Mode Microplate Reader delivers single mode reader performance in one multimode reader package. The dual monochromator optics allow the widest range of applications to be utilized for bioresearch and drug discovery applications, all without the need to change filters. 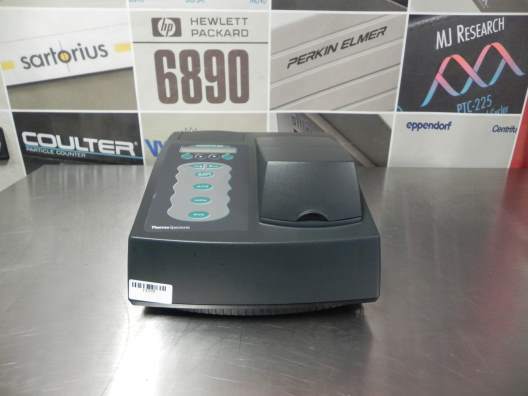 The SpectraMax M5 is the standard for UV/visible multi-mode reader absorbance, providing ultrafast, full spectral range detection for cuvettes, 96-, and 384-well microplates. The Synergy 2 is BioTek's high-performance multi-mode plate reader designed for the life science research and drug discovery markets. Its fluorescence detection system uses deep blocking filters and dichroic mirrors for the best level of performance in research and screening applications. The dedicated absorbance detection system is monochromator-based, providing the best level of flexibility in this read mode. And, by utilizing dedicated optical elements for each individual detection technique, Synergy 2 offers uncompromised performance and the lowest limits of detection. Compatible with Take3 Micro-Volume Plate: sixteen 2 µL microspots for low volume DNA/RNA 260 nm measurements. Saves precious samples, very fast and simple process. Dynamic Range: 0 - 4.0 O.D. Dynamic Range: 0 to 4.0 O.D. Nicolet FT-IR spectrometers from Thermo Electron Corporation are the highest performance FT-IR systems available. While the spectrometer has the power to handle the most advanced research-level experiments, routine analyses are performed just as conveniently. Every facet of the Nicolet FT-IR spectrometer has been engineered to facilitate sample handling, introduce options to scientists, and increase laboratory throughput. 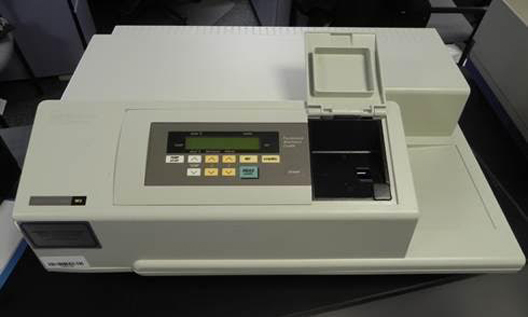 State-of-the-art technology with an easy-to-use format in a compact footprint: that is the Eppendorf BioPhotometer! It's large key pads, pre-programmed methods, and pre-set wavelengths and conversion factors greatly simplify the sample quantification. The large LCD screen displays the sample concentrations, absorption values, OD260/OD230 and OD260/OD230 and sample dilutions at a glance. The Direct Detect system provides accurate results without the pitfalls of colorimetric assays. By measuring amide bonds in protein chains, the system accurately determines an intrinsic component of every protein without relying on amino acid composition, dye binding properties or reduction-oxidation (redox) potential. Also, evaluation of other components of complex mixtures separable from the protein spectral region, like lipids, make lysates and membrane preps easier than ever. Scanning Speeds: 120. 240, 600, 1200, 2400 nm/minute. Multiple purpose capabilities allow you to measure a wide range of analytes. Handle a wide range of routine and complex applications—perform simple absorbance measurements, determine sample concentrations or run a rate analysis. 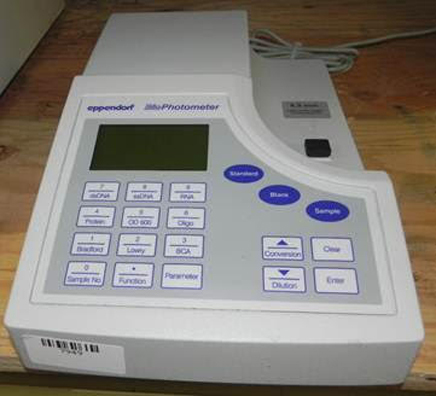 Versatile spectrometers operating in the ultraviolet (UV) and visible (Vis) spectral ranges. Optical components are coated with silica for durability and holographic grating is used in the monochromator. Features a double-beam, all-reflecting system, usable for a wide range of applications. Very high stability, high accuracy and reproducibility.